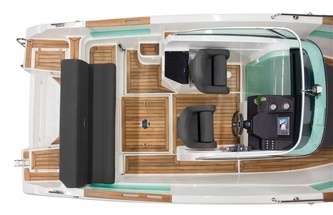 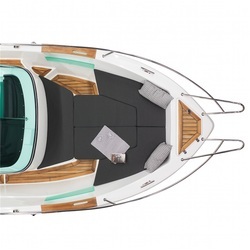 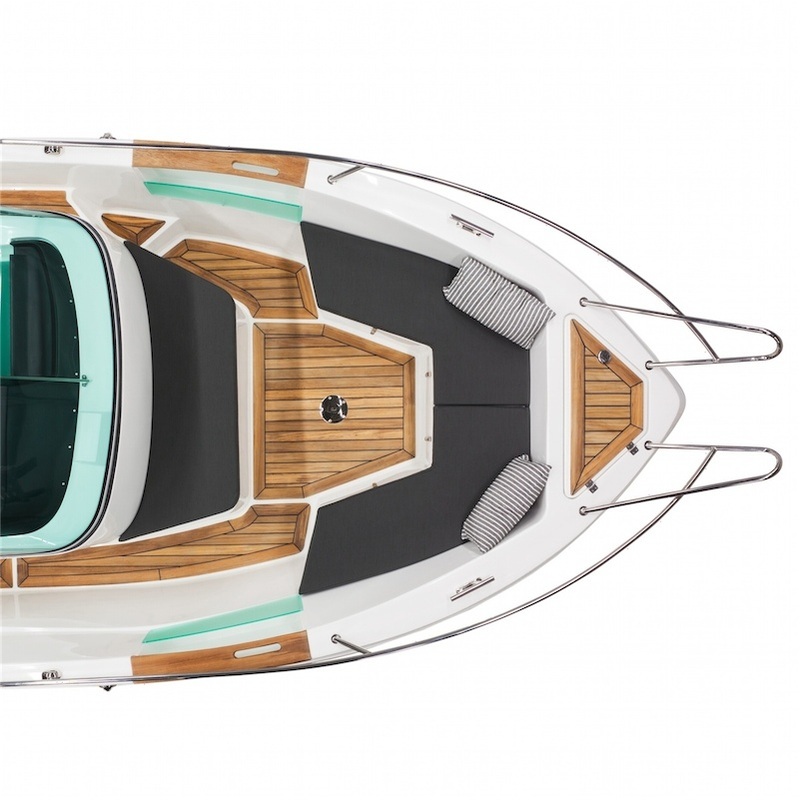 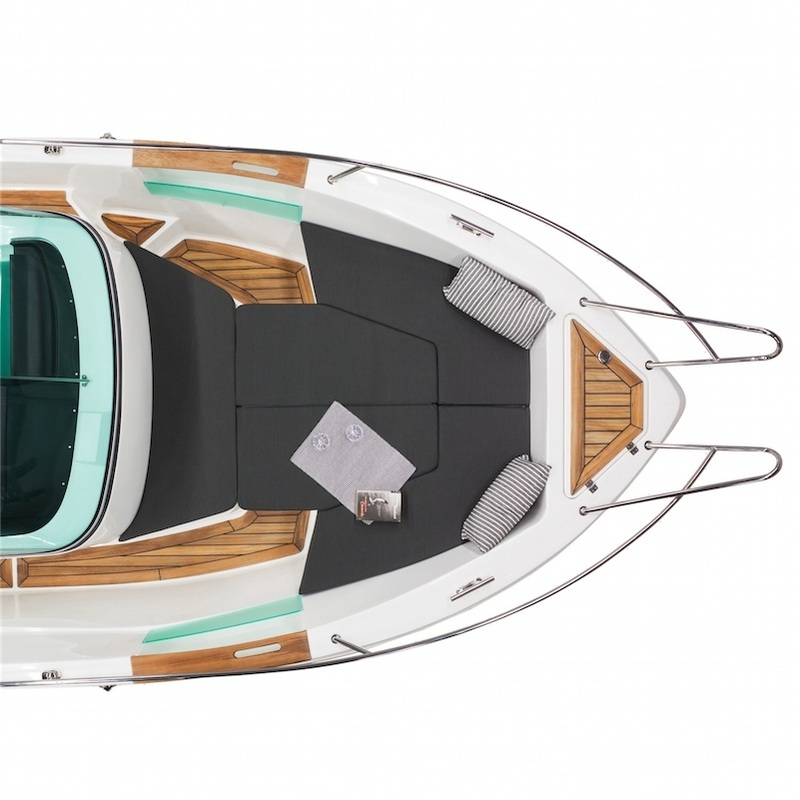 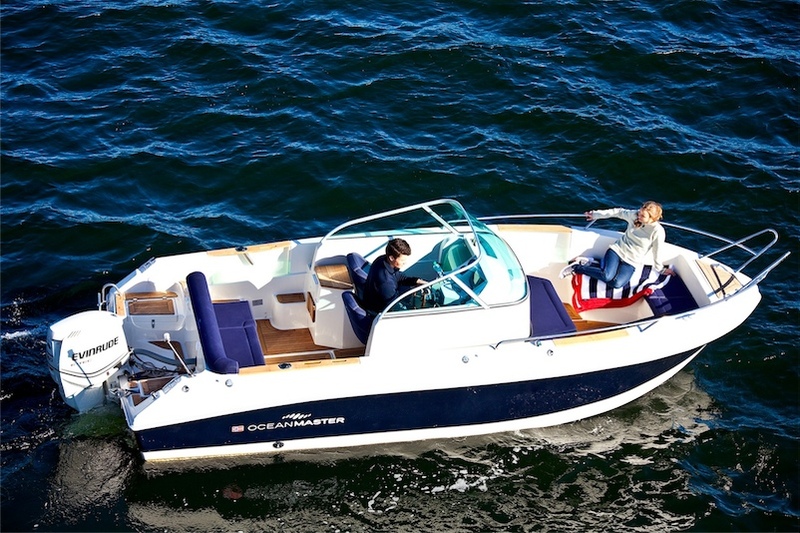 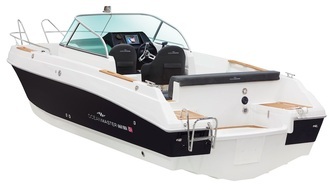 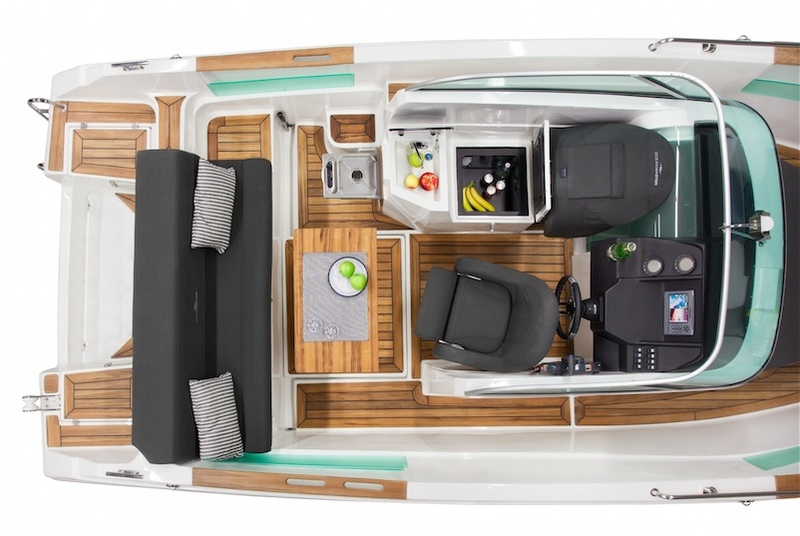 The 2013 OCEAN MASTER 660 walk around has been designed to offer the family boater a full compliment of amenities in an easily trailerable package. 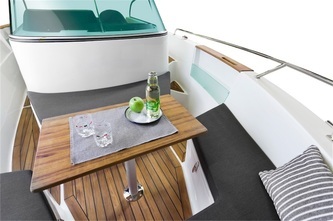 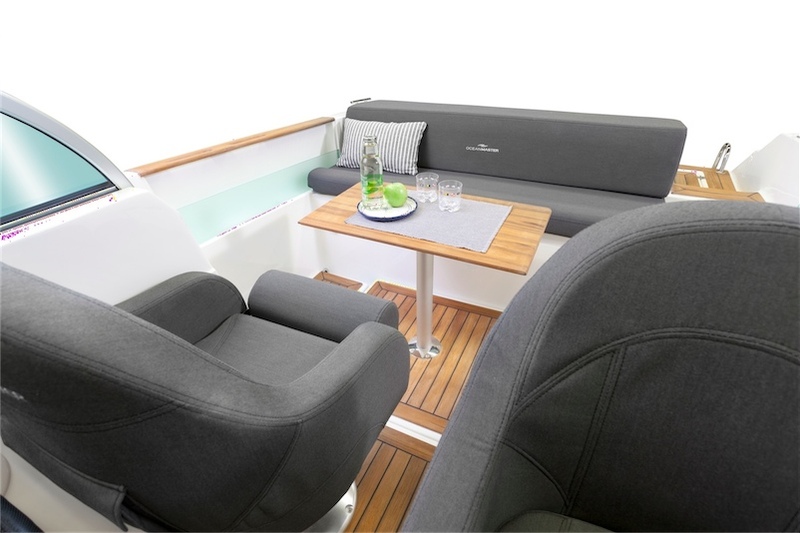 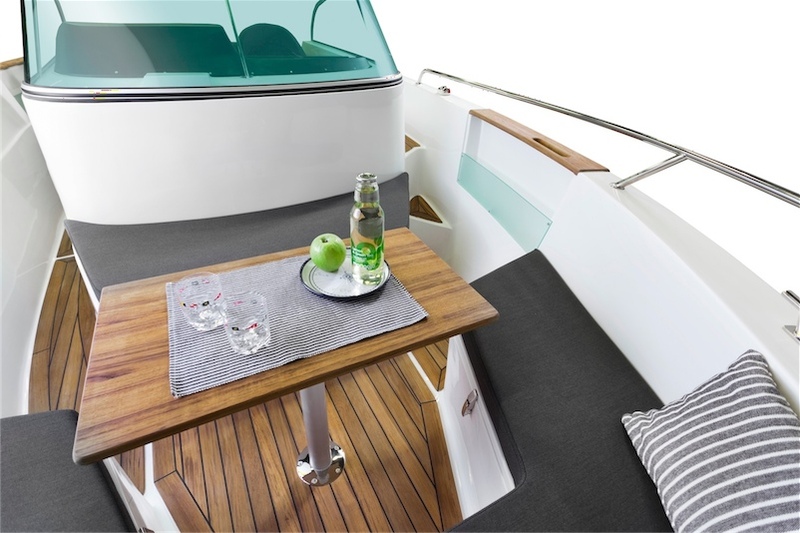 She offers forward seating/ dining area that converts to a spacious sundeck. Wetbar behind the helm incorporating stove, fridge, sink with storage under. Additional dining / sun lounging area aft. 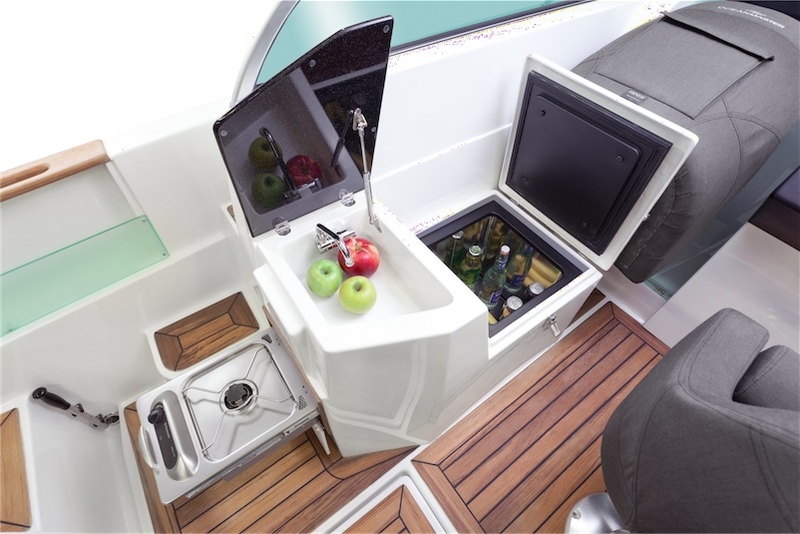 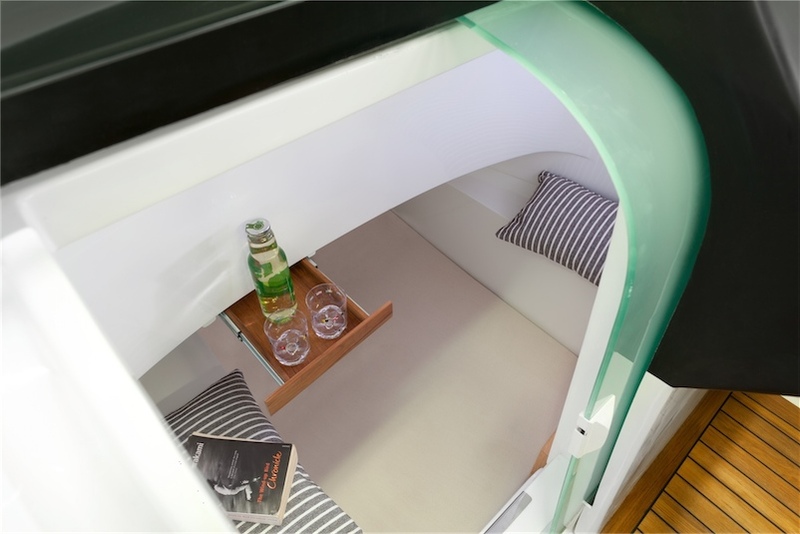 The cuddy cabin offers occasional overnighting, sea or chemical toilet and ample storage. 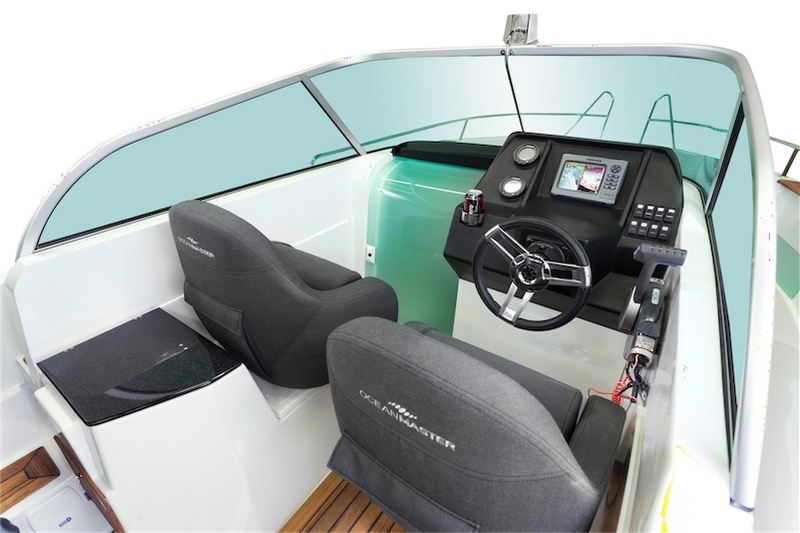 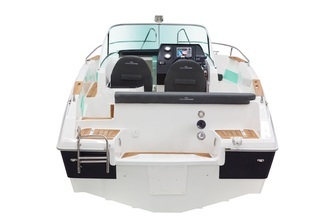 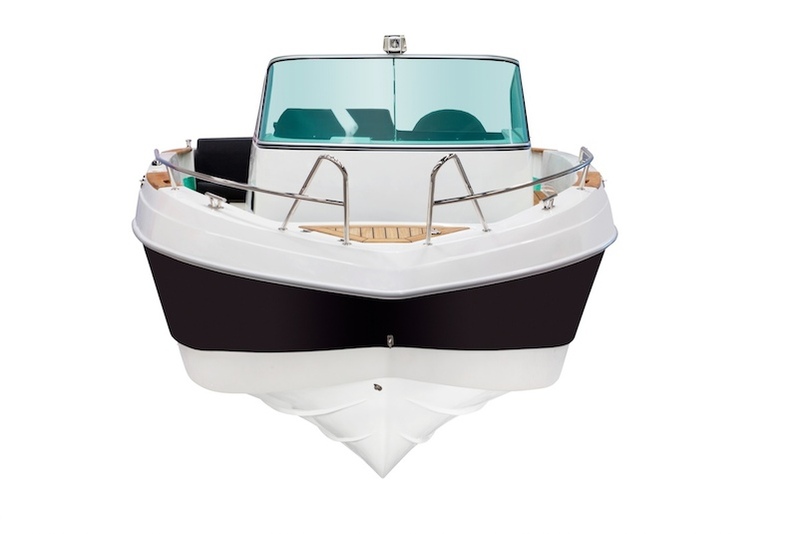 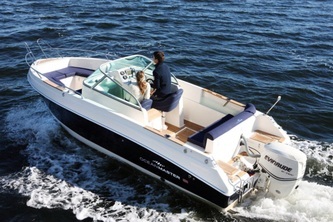 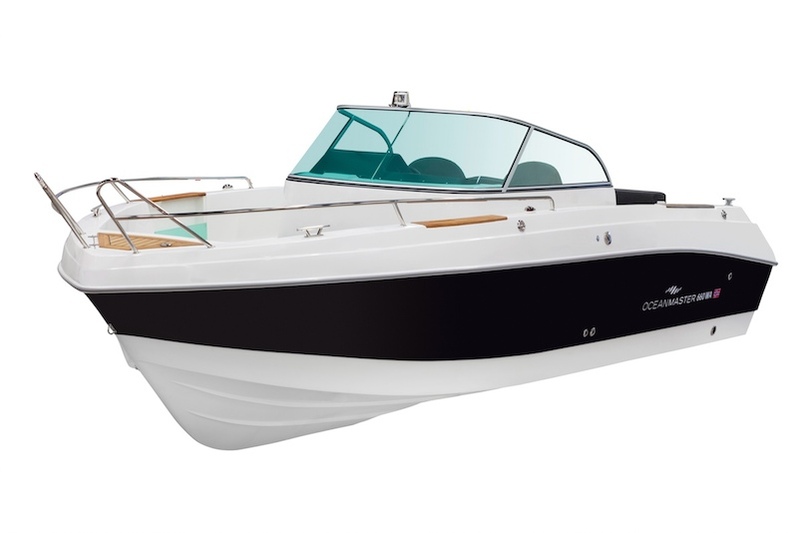 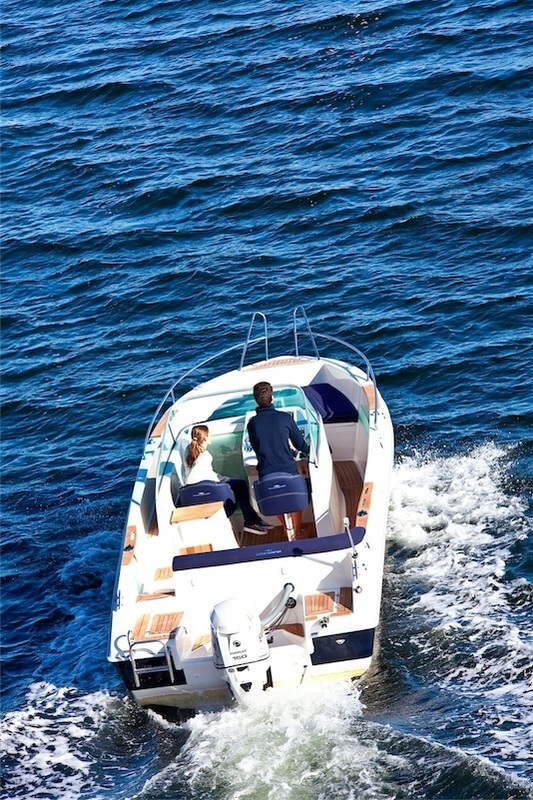 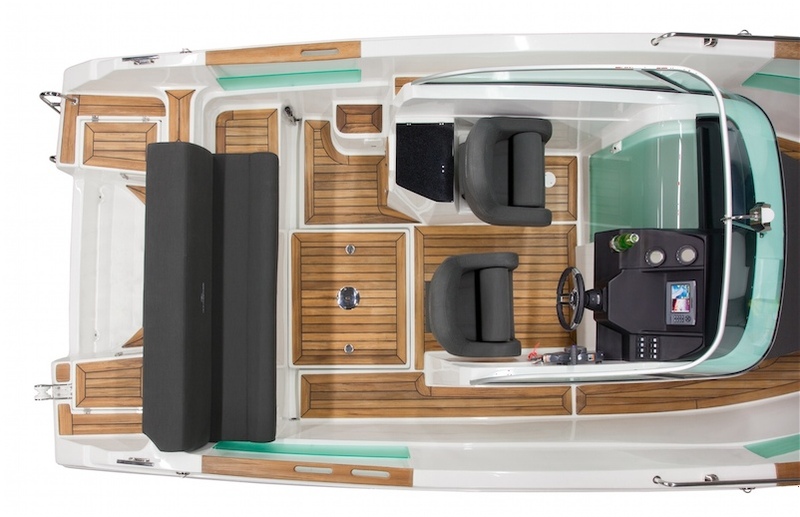 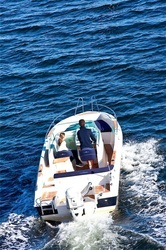 The center console deck arrangement enables free movement around the boat, making docking a snap, whilst also allowing for full use of the optional fishing pack (livewell, rod racks, rod holders, raw water wash down) or optional water skiing system, a true family day boat / weekender.